The jam session at the Rochester International Jazz Festival was just heating up one night last June when a man with a tenor saxophone stepped on stage to join the Bob Sneider Trio on "Stella by Starlight." I was skeptical. He looked more like a businessman than a performer. But when he put the sax to his lips, he proceeded to play a wonderful solo, venturing far from the melody with inventive bursts of notes. I found out later that his name was Bob Savoia, and he was no regular on the jazz circuit. In fact, you can find him most days at Savoia's Pastries on Clifford Avenue. But the fact that a baker could step up and drop a wild, tuneful solo got me thinking: What is it about the connections between Italians and jazz in Rochester? Actually, the subject came up a couple of years ago when I spoke to saxophonist Joe Lovano before he played at the RIJF. He was recalling gigs he played in Rochester at the start of his career in the early 1970s. "So many of the great players I had heard about were from Upstate New York --- legendary cats like Sal Nistico, VinnieRuggerio, Don Menza, Sam Noto --- a lot of Italians, too," Lovano said. No one would dispute the African American roots of jazz. And no one would argue with the fact that some great black jazz players (Pee Wee Ellis and Roy McCurdy come immediately to mind) have emerged from the area. 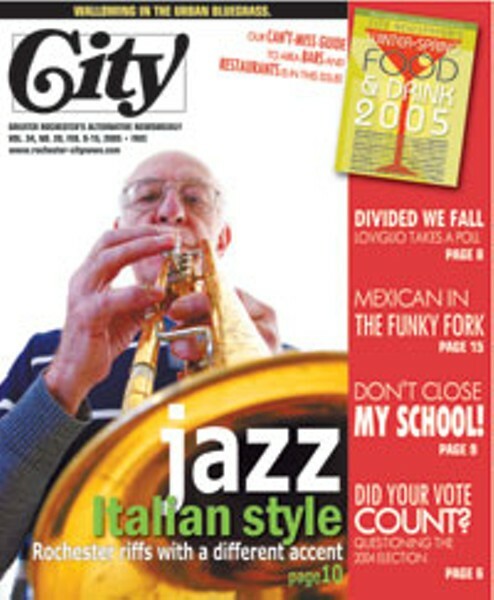 But since at least as far back as the 1950s, the Rochester jazz scene has been dominated by Italians. Anyone who follows jazz today knows the names: Mike Melito, Danny Vitale, Vince Ercolamento, Mark Manetta, etc. But go back five decades and you'll find more Italian names: Sal Sperazza, Russ Musseri, VinnieRandazzo, Benny Salzano, and many, many more. I know what you're thinking. There's a large Italian population in Upstate New York, so the answer is simple: Italians are here and some of them are passionate about jazz. "There just happened to be the right number of people who found the flame and we found each other," says pianist Gap Mangione, who has been among the most active players locally since the late 1950s. But the cultural exchange between African Americans and Italians, going back over half a century, is still fascinating. To find that flame, the circumstances had to be just right. "At that time poor folks lived in the same geographical areas," says Lawrence Hargrave, who hosted The Jazz Fest for 16 years on WRUR. "There was a lot of cross-pollination." It was just that sort of cross-pollination that got Chris Melito interested in jazz when he was growing up near the Public Market in the 1940s. When he went to concerts, like the one featuring Duke Ellington's Orchestra at the Sports Arena at EdgertonPark, there was a mixed audience. Jazz was one thing that brought blacks and whites together in Rochester. "We just listened," Melito says. "There was no awareness. Back in those days you didn't think black and white in regard to music, just good and bad." "I heard Roy Eldridge with Gene Krupa and he stoned me," Melito says. "His soul was in the music." Like many others, he was in awe of Coleman Hawkins' saxophone solo on "Body and Soul." "It's one of the greatest jazz solos of all time." Once hooked, Melito got a job at the Columbia Music Store on Clinton Avenue just so he could listen to records. There he fell for other greats like Art Tatum and Bobby Hackett, who eventually became a close friend. Melito was very much aware of jazz's black roots. He realized, for instance, that Hackett emulated Louis Armstrong. Later, when his trumpet chops developed, Melito hung out at Squeezers on State Street, a bar owned by pianist Joe Strazzeri. Many of the greats played there, including Hawkins, Clifford Brown, and Teddy Wilson. And gigs were typically followed by open jam sessions with white and black musicians. 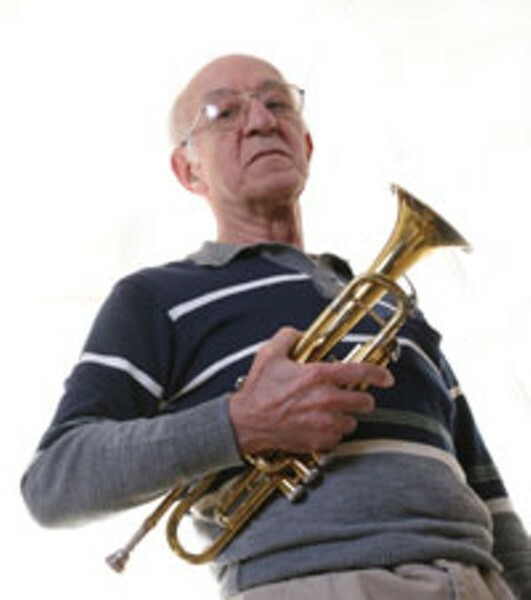 Melito remembers a particularly strong trombone player who went by the name of Jamaica Jive. Melito got to know some legends personally. One night in 1959, after a concert in Buffalo, he went with a friend, Phil Santoro, to the Anchor Bar. Santoro had served in the army with trombonist Tommy Turk, so, that night, Melito found himself at a table with Hawkins, Lester Young, Flip Phillips, and Hank Jones. "Those were my idols," he says. Melito joined the Rochester police force in 1956 and became a detective in the early 1960s. And the job sometimes brought him closer to his heroes. In July of 1974, Melito got a phone call from Lou Ouzer, a Rochester photographer known for his portraits of musicians. Stan Getz was in a bind. He was visiting the Eastman School of Music for an Arrangers Holiday program. The problem: He was due in Niagara Falls for a midnight show at the Newport Jazz Festival and it was getting close to 11 p.m. Could Melito drive him? "Let's just say we went a little over the speed limit," Melito says. "We made it." The next time Getz was in town, he greeted Melito like an old friend. Melito passed his love of jazz on to his sons. Two of them, Mike and Tom, are professional drummers, while a third, also named Chris, plays classical and jazz trumpet. Many of the local jazz musicians Melito remembers from the 1950s are listed on Jazz in Rochester (www.attictoys.com/jazz/RocJaMu.html), an excellent website created by jazz historian Noal Cohen. Cohen, the co-author of Rat Race Blues: The Musical Life of GigiGryce, grew up in Rochester and played drums in the Chuck Mangione Quintet in 1960. He went on to a career in the pharmaceutical industry, but since his retirement in the mid-1990s he has put together the finest resource available on Rochester jazz history. Italians latched on to jazz almost right from the start, Cohen says. He points to the Original Dixieland Jazz Band of Nick LaRocca. Cornet player LaRocca's group was far from the first band to play jazz, but --- no doubt because the band members were white --- they were the first to be given the opportunity to record, in 1917. Another early Italian jazz artist was singer-trumpeter Louis Prima, who rose to fame in the 1930s. Others hear a connection in the music to this day. Lovano recorded an entire album, Viva Caruso, exploring the relationship between Italian music and jazz. When I spoke to him before he played at the RIJF, he talked about "the stuff that fueled jazz: the song forms, the rhythms from the Mediterranean, North Africa, the Middle East, Sicily, Southern Italy, French songs. They all migrated to this country. Of course, the blues and all these other influences created what we have as jazz, but I went back and really started hearing some things." Hargrave agrees that there may have been some linkage over the centuries. "There is a history in the Mediterranean of crossing back and forth," he says. "But most of the rhythms that have created the basis for jazz and blues have come from further south and west." Cohen recalls the tremendous respect his Italian musician friends had for the black innovators in the music five decades ago. "When I got into jazz in the early 1950s I was hooked by Dave Brubeck, Gerry Mulligan, and Chet Baker," Cohen says. "I listened to those dudes before I listened to Louis Armstrong and Charlie Parker. But the Mangiones were pointing me toward the harder stuff. Chet Baker and Gerry Mulligan were so yesterday by 1955 --- I got rid of all my records. We aspired to be black players; the black guys were our idols. It was the opposite of the racism of the time." When I mention this to Gap Mangione between his sets at the Lodge at Woodcliff, where he plays each weekend, he laughs. But thinking back to his beginnings in jazz, he admits there's some truth to it. "Compared to what Miles [Davis] and Clifford Brown were doing in the muscular style we were into, the other stuff did pale," said Mangione, who counts Oscar Peterson, Horace Silver, Wynton Kelly, Red Garland, and other blues-oriented players among his influences on the piano. 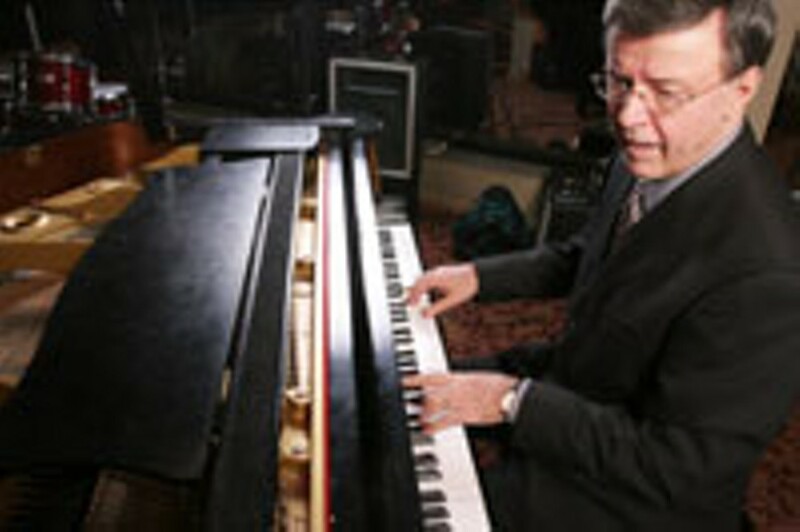 For Mangione it was the rhythm and blues he heard on the radio in the 1950s that led him toward jazz. But there was also the proximity to black culture. The Mangiones lived just off of St. Paul Street near the BauschStreetBridge. Their father owned a grocery store near Clinton and Joseph. If Rochester had a reputation for racial conflict, the Mangiones were not part of it. They thought nothing about having their black friends come to the house. Mangione also went with his friends to see great black bands at the Catholic Youth Organization in the downtown building that housed the Montage Grille until its recent closing. By the mid-1950s the Mangione brothers had seen a who's-who of jazz greats. "On Easter of 1956 my father took us to Squeezers on State Street across from Kodak to see Clifford Brown with Sonny Rollins and Max Roach," Mangione says. "By then we'd seen all the major players from Armstrong to Ellington and Basie. We saw everyone but Charlie Parker. We went to see him too, but he was at the Times Square downtown and, because we were under age, they wouldn't let us in." Their father was a key figure in nurturing their interest; he made a point of walking up and introducing his sons to jazz giants between sets. Eventually Dizzy Gillespie and other greats visited the Mangione home for pasta dinners. When local spots like the Pythodd Lounge weren't enough, Mangione took the train to New York City. He spent one memorable evening at the Café Bohemia where he saw the Miles Davis Band with John Coltrane. There was so much jazz available in Upstate New York back then, it could even be found in the most unlikely places. Mangione once heard a rumor that something was brewing at an establishment south of Geneva. He drove down to find, in a house converted to a bar, the Cannonball Adderley Band with Philly Joe Jones and the rest of Miles Davis' band minus Miles. "I made one phone call and we filled the place." His heroes may have been black, but Mangione has never forgotten his Italian roots. On his 2004 recording Family Holidays, Mangione recalls his heritage, not only with pictures of his family, but also with songs titled "Bellezza" and (his rendition of) "Tarnentellas." On Stolen Moments, his latest Big Band album, one of the guest artists he performs with is his 1960s band mate Joe Romano. The Melitos and the Mangiones are not the only local Italian families immersed in jazz. 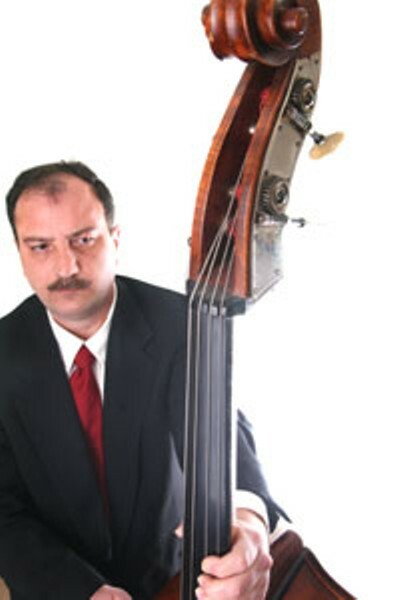 Over the last several decades bassist Danny Vitale has played with Herbie Hancock, Hank Jones, Kenny Burrell, JoePass, and many others. His brother Richie plays trumpet and John plays sax; both work with a variety of musicians in New York City. "Music was in my family," says Vitale, 46. "My grandfather played mandolin and sang. That's how he courted my grandmother in Buffalo." When it came to jazz, Vitale also points to the cross-fertilization factor. "I grew up on Adams Street, next-door to Roy McCurdy," Vitale says. (McCurdy went on to play with Rollins, Adderley, and many others.) "I used to hear him practicing drums all the time." And McCurdy wasn't the only source of inspiration in the neighborhood. "There was a church on Jefferson Avenue and Adams Street, a half block away. Every Saturday morning I would walk down and listen to the gospel singers practice," Vitale says. "I'd stand outside and listen for about 20 minutes. They had some really powerful voices. I must have been about 6 or 7." The two key figures in his early musical life were a black teacher, Alan Murphy, and an Italian teacher, VinnieRuggerio. A Rochester jazz legend, Ruggerio was second call to Philly Joe Jones in New York City. He ended up on gigs with John Coltrane, Slide Hampton, etc. "I never looked at it as a racial thing. And the black musicians I've played with never did either," Vitale says. "The great saxophonist James Moody gave my brothers and me a three-hour lesson for free when he was playing at the Montecello. I learned a lot from him about progressions and notes you can play against chords. At one point he turned to me and said, 'And just because you're a bass player don't think I'm not talking to you.'" In his landmark bookBlues People, LeRoi Jones (now known as AmiriBaraka) traces the emergence of blues and jazz from their African roots through the hardships of slavery and discrimination in the African American experience. Like myriad white jazz players over the last century, Italian musicians in Upstate New York obviously did not share that experience. They adopted jazz for a very different reason. "It was much more the music for the music's sake," says Mangione. But, as jazz has branched out from its origins as a musical form, and has been embraced by a wide variety of players, some musicians have bemoaned the fact that the audience for jazz has drifted away from the African-American community. "You ask a lot of black people today who is John Coltrane or Charlie Parker; they don't know," says Vitale. "The truth is when you go to the Rochester International Jazz Festival what you see is a predominantly white audience," says Hargrave. Whoever plays or listens to the music, Hargrave believes that it is important for jazz to remain a living, breathing art form --- with some stipulations. "As long as the tradition is carried on, I appreciate it," Hargrave says. "But we've had a history of black players not being able to find work, so I believe in credit where credit is due. That's one reason I like Tony Bennett, another Italian. He gives credit to Ella [Fitzgerald] and Sarah [Vaughan]." Bennett's real name was Anthony Dominick Benedetto. The son of a grocer, he waited tables before his career took off. Which brings us back to baker-saxophonist Bob Savoia at the RIJF jam session.Savoia grew up on Rochester's East Side and attended EastHigh School with Pee Wee Ellis. As a teenager in the 1950s he played in a band with Gene Cornish, who emerged from Rochester to become a member of the Rascals. "Like most people, I started listening to blues: Earl Bostic, Red Prysock, Louis Prima. Then I got into jazz --- Sonny Rollins, Sonny Stitt, Stan Getz, Dexter Gordon, and, of course, Charlie Parker." But once into his 20s, Savoia put down the sax and went to work at his father's bakery. It wasn't until decades later, in the early 1990s, that he decided it was time to start playing again. As a kid he had played by ear. This time Savoia wanted to know the mechanics of the music. After some theory classes at the EastmanSchool, he was ready to begin playing around town. Over the last few years, Savoia had shared some gigs with the members of Bob Sneider's trio, so he thought it might be fun to show up with his sax at the jam session. Just before stepping on stage he was a bit nervous because one of his heroes, saxophonist Eric Alexander, in town for the festival, had just walked into the bar. Savoia was especially pleased to get his blessing afterward. When I mentioned the Italian connection, Savoia wasn't surprised. "You know, I've thought about that myself," he said. "These Italians players' roots are mostly from the South of Italy, places like Sicily. There's a lot of music there. My family came from there and I was always drawn to music." Savoia sees the ideal situation in the music as one embracing both African Americans who have cultural roots in jazz and those, Italian or otherwise, who came to it out of a love for the music. "On Joe Romano's last night in town he played at the ClarissaRoom and the crowd was half white and half black. It was so cool; it was so hip; it was so nice."